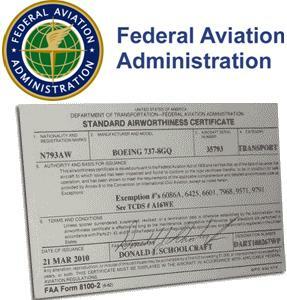 August 2, 2013 - The FAA is streamlining aircraft certification and approval processes to keep pace with technological advancements in aviation products and to help the United States maintain global competitiveness. The plan responds to recommendations in the May 2012 Aircraft Certification Process Review and Reform Aviation Rulemaking Committee report to enhance the efficiency of getting new products to market while improving safety. Many initiatives are already complete or underway. For example, the FAA is preparing to update the Part 23 regulations that cover design and safety standards for small, general aviation aircraft. The goal is to increase safety, decrease costs, and increase the installation of safety equipment for general aviation. The FAA also published for public comment a new process for initiating and managing FAA resources assigned to projects; it promotes more predictable planning for the applicant. And the FAA has issued an update to the Organization Delegation Authorization Order (8110.4D) and established an Aviation Rulemaking Committee to consider updates for certification procedures and safety management systems in Part 21. The plan responds to Section 312 of the FAA Modernization and Reform Act of 2012 which required the FAA, in consultation with the aviation industry, to conduct an assessment of the aircraft certification and approval process.